This is a simple drill for defense only to practice transitioning from out of the defensive zone. Coach has pucks at center ice. Defense on each side. Coach dumps puck so one defenseman can intercept it. Defense spins to skate backwards controlling the puck. A pass is made over to the alternate defenseman, who may also be skating backwards at this point. This is the key part of setting up the transition/change in direction. 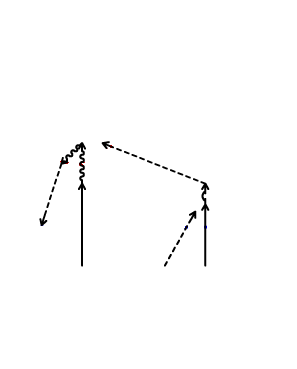 Defenseman passes up to player, usually another defenseman waiting in line for his turn, who emulates a forward. 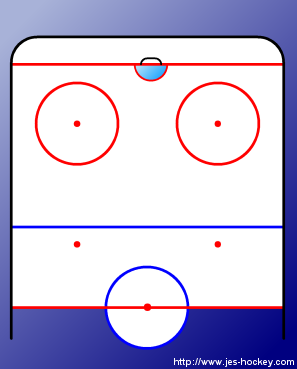 At this point, all players return to original drill starting point but the coach dumps to the other defenseman.